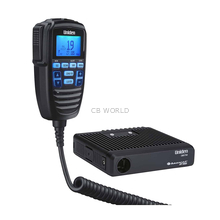 Compact Radios​ at CB World! 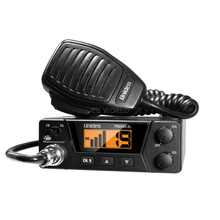 If you are looking for a small, convenient size radio, you've come to the right place! 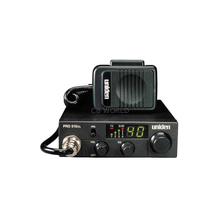 CB World has lots of compact radios to choose from. 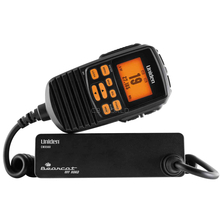 You will find compact SSB radios, 10 meter radios, CB radios, weather radios, and more! 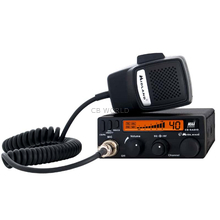 The big, full featured CB radios are great because they have better receivers which creates clearer sound quality than the smaller models. However, sometimes there is not enough space to mount a large (7" x 2" x 8" box) chassis radio in your vehicle. 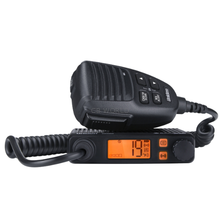 Cobra 75 WX ST - All-in-handset. A small junction box mounts under/through the dash, connecting the radio to the antenna, power and external speaker. 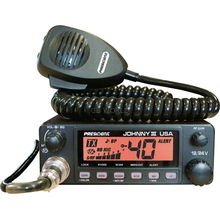 Uniden PRO520XL - One of the smallest mobile CB radios we have with RF Gain & PA. Can be mounted in/under the dash or floor mounted. 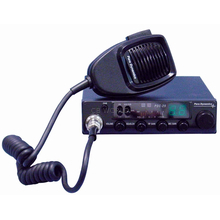 Cobra 19DXIV – Another small mobile CB radio we offer with RF Gain & PA. Can be mounted in the dash. 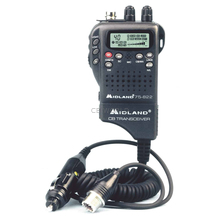 Any of the handheld CB radios will also work but keep in mind they are not as easy to connect power and antenna connections (unless you select the Midland 75822). You will need an external antenna if you are using in a vehicle because the rubber antenna that comes in the kit will provide extremely limited range (2 car lengths approximately).